King Kong is such an intrinsic part of cinema, the iconic image of the ape atop the Empire State Building a symbol of cinematic technological advancements. It's a film of grandeur and awe based on spectacle and visual effects - so how could this ever translate to the theatre? This particular production, however, comes to us from the co-writer of Potted Potter, Daniel Clarkson. 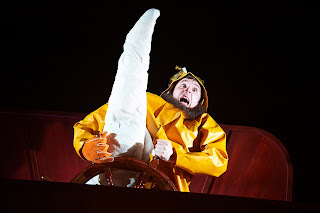 And as the audience take their seats to the sound of "I'm the King of the Swingers...", it's clear that we're in for an evening of comedic, irreverent fun. 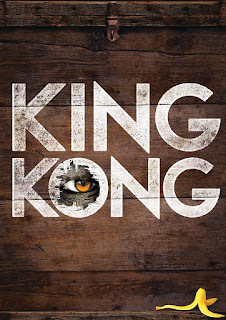 At just over 80 minutes long and performed by a cast of just five, this is King Kong on a small scale. The plot is heavily condensed and streamlined, though there's still plenty of room for wit in the script. It's like a Saturday morning cartoon version of the ape story: lively, fast-paced and amusingly silly. 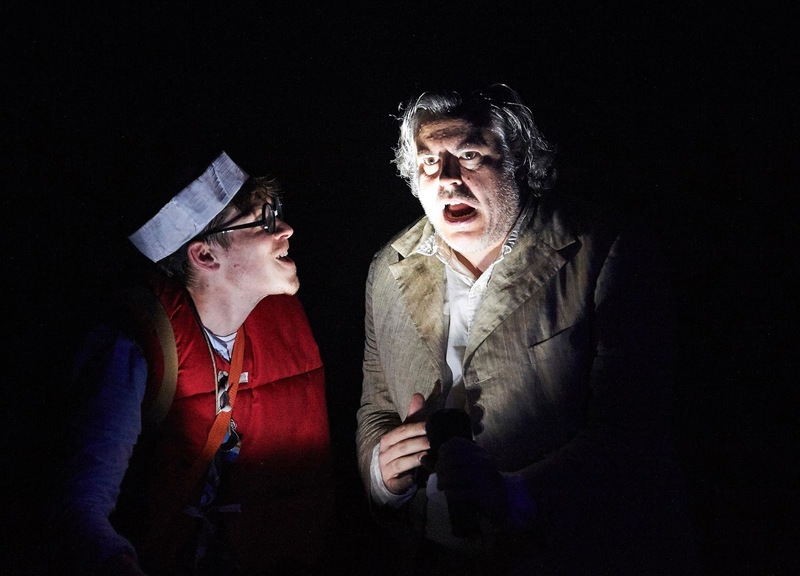 Not all of the jokes land, while others are wholly predictable, but the script mostly does a great job of subverting our expectations through repetition and recurring gags ably directed by Owen Lewis. And the small-scale doesn't hold back the visuals. Simon Scullion's set consists of a series of Art Deco platforms that mimic the Empire State Building, but also allow for multiple levels of staging both in height and depth. This is cleverly used to give a sense of perspective, not least of all with the use of puppets that provide some of the most amusing moments. 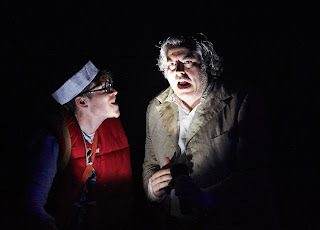 And how do you present a giant ape on stage? A mixture of frightening sound effects, clever use of costumes, and more puppetry. A spoof of Nintendo's Donkey Kong game was a particular, anachronistic delight and I'm not sure I'll ever look at a banana in the same way. 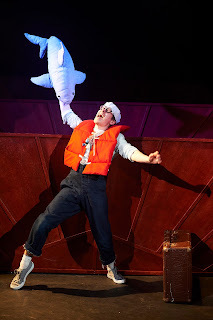 The performers also bring cartoonish flair, from Ben Chamberlain's flailing, feeble Jack Driscoll, to Sam Donnelly's pirate-esque captain Skipper. Props too to Brendan Murphy playing a multitude of roles to great comedic effect, most of all Token Guy. It's all thoroughly entertaining, but still manages to make a point. That said, it's less about man's greed and attempts to control nature, but of his ineptitude in times of crisis. Alix Dunmore's Ann is far from a damsel in distress, she's the real brains behind the whole operation. 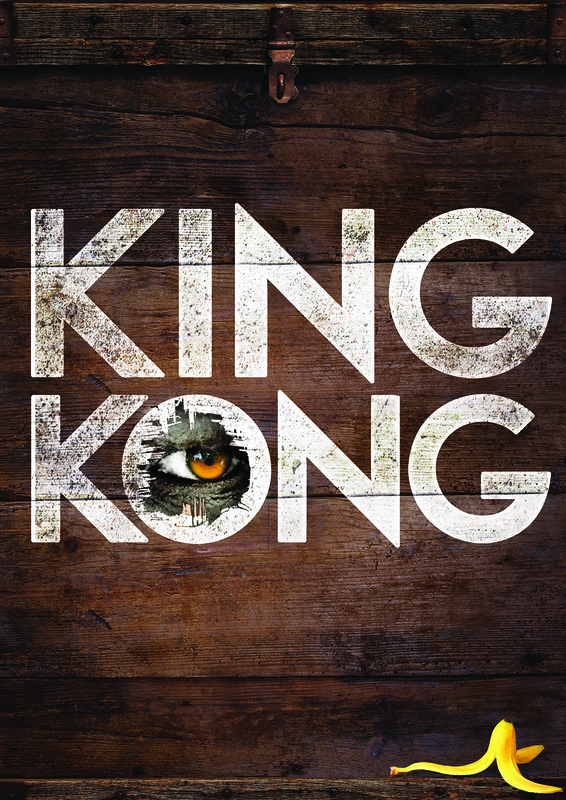 Watch: King Kong runs at the Vaults theatre until 27th August.